Fond of a good quiz against a fellow human to test your brain power? Find yourself strangely knowledgable about a certain topic like Tech or Aquatic Animals? If so, then you may have heard about an application currently available on iOS called QuizUp. I have talked about the app before on The Droid Life Show, as it has been my favorite app to play since Tiny Wings (also on iOS) and Granny Smith. 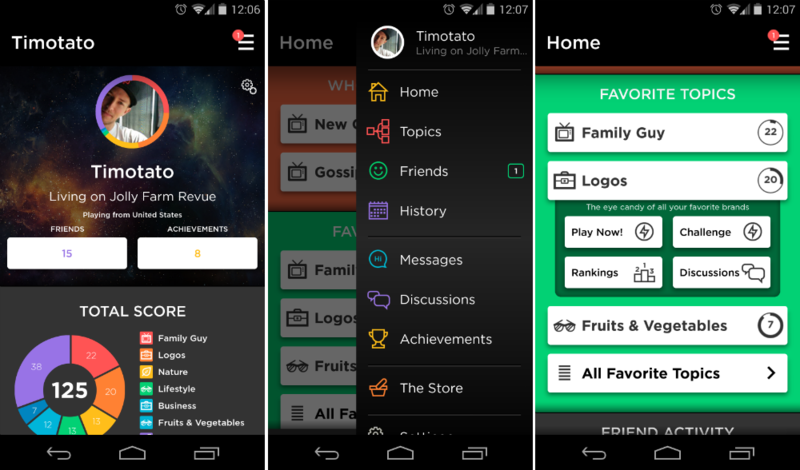 On QuizUp, there are over 300 topics to choose from with over 150,000 questions to stump you. When you do well on a quiz, you gain points which adds to your rank. When you start ranking up a lot in a certain topic, you gain titles which lets people know you are a true smarty pants in that topic. There are a few ways to play – you can play in real time against a random opponent or you can invite friends and challenge them to any topic you would like. If they aren’t available for a quiz at that very moment, you can play the game, and they can catch up to you when they are available. It’s a fantastic game, and we have been tracking its progress to Android since December of last year. QuizUp took to its Facebook page a few days ago to deliver the following message. the GOOD NEWS is that today we’re working on our last rounds of intensive in-house testing and bug-fixing for the Android app so you’ll be able to get it AS SOON AS NEXT WEEK! To gain access, go ahead and hit up this link to the private beta on Google+, then simply click the button to invite yourself. You will need to wait for your invite to be accepted, but lately they have been accepting people left and right, so it shouldn’t take too long to gain access. If you get the app, and fancy yourself a fan of Logos or Family Guy, feel free to find and challenge me.